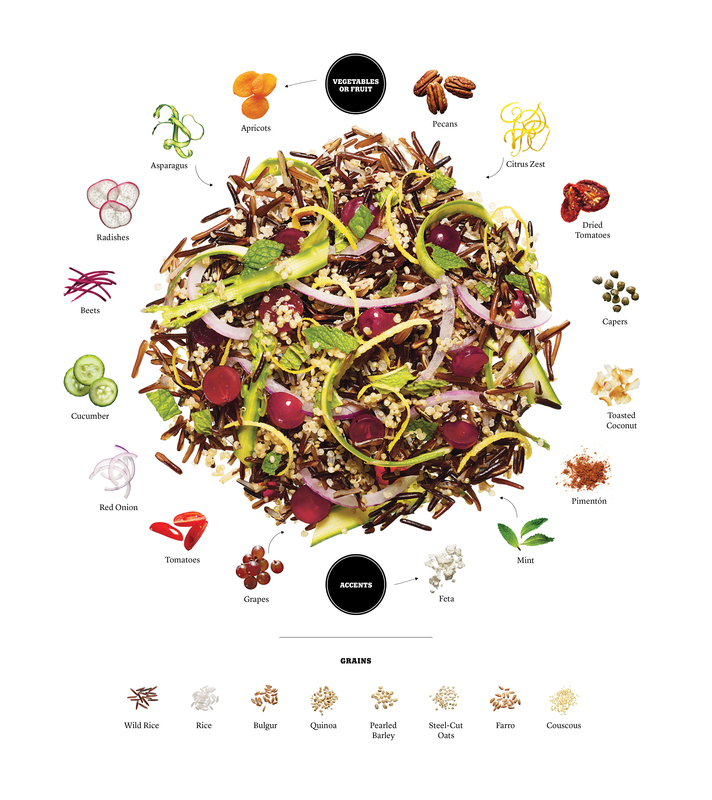 What’s your favorite grain-based salad (if you’re a grain eater)? And if you don’t eat grains, why not? I love one that you originally made for me way back in the day on 2nd Ave. In fact, I think it’s called BT’s special salad in my recipe box. Top a bed of fresh baby spinach leaves with couscous, halved cherry tomatoes, diced cucumbers, Kalamata olives, drained garbanzo beans, feta and a simple lemon vinaigrette.